A study from the Indiana University School of Medicine found that there have been over 1,000,000 visits to the emergency room for the years 2002-2011 from trampoline accidents. The chair of the Indiana University School of Medicine recommends that children avoid trampolines. However, a manufacturer of trampolines claims that trampolines are actually safer than swimming pools, bicycles and swing sets. I have no expertise or education in the safety of trampolines. However, legal issues do arise with trampolines. Trampoline owners can be held legally responsible for injuries sustained on their trampolines. Generally, homeowner’s insurance would protect homeowners from personal exposure from accidents that occur while on their property. However, homeowners need to carefully read their homeowner’s insurance policy before purchasing a trampoline. Further, current trampoline owners need to carefully review homeowner’s insurance policies they plan on obtaining, in order to make sure that trampolines are covered. Many homeowner’s insurance policies explicitly do not cover injuries from trampoline use. Further, policies that allow for trampolines can be very expensive. 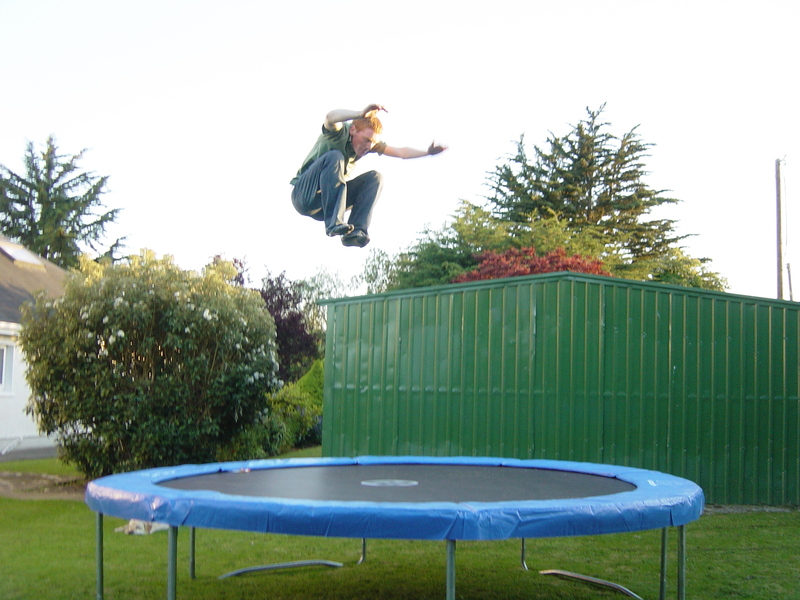 It is important to ascertain whether a homeowner’s policy covers trampoline use. If a trampoline owner purchases a homeowner’s insurance policy that forbids trampolines, then any trampoline accident that occurs would not be covered by insurance and any liability would be solely the responsibility of the homeowner. The result would be the same if a homeowner with an insurance policy that did not cover trampolines purchased a trampoline. If you decide that the rewards outweigh the risks and purchase a trampoline, make sure to check your insurance policy to see if trampolines are allowed.